Aaron is married to Lynne and they have three grown up children and five grandchildren. He has a primary school teaching background in Newcastle and in Papua New Guinea. 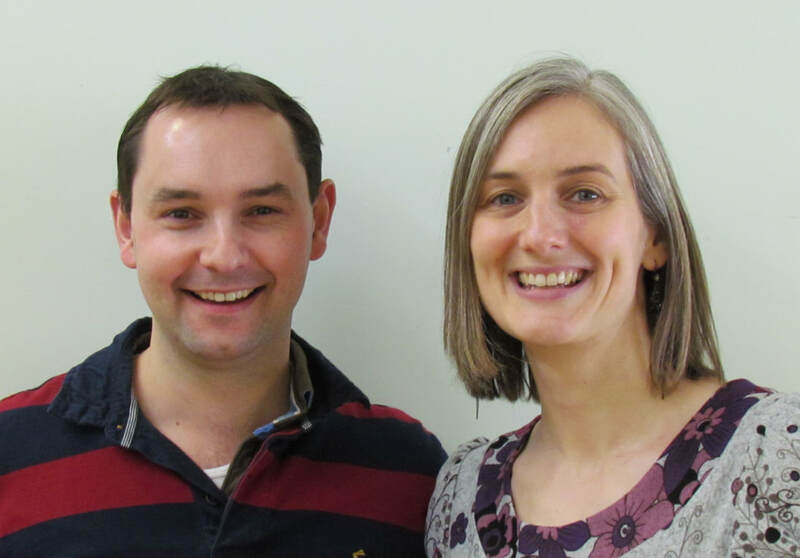 As part of our team of Elders, Aaron has responsibility for Bible Teaching, Pastoral Care, Vision and Safeguarding. 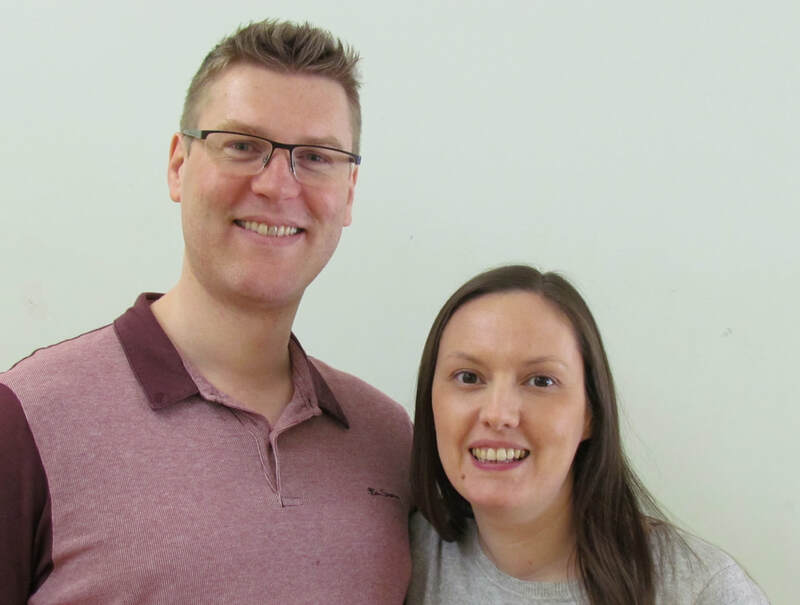 ​He has been at Springwood Church since 2015, having been a Pastor in the North East of England for the previous eleven years. Outside of church, Aaron is often seen with a bass guitar in his hands, since he still hasn’t got over his misspent youth! 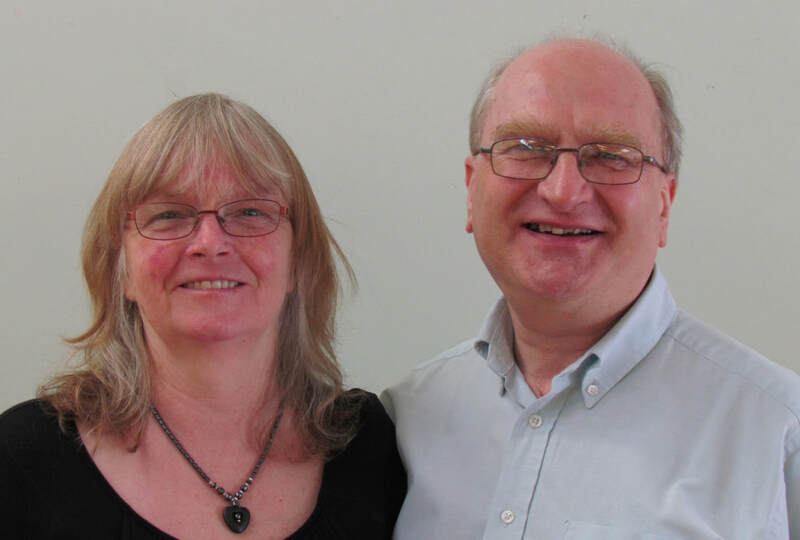 Steve, along with his wife Jenny, moved to Derby in 1999 and they joined Springwood Church in 2014. They have four grown-up sons and six grandchildren. 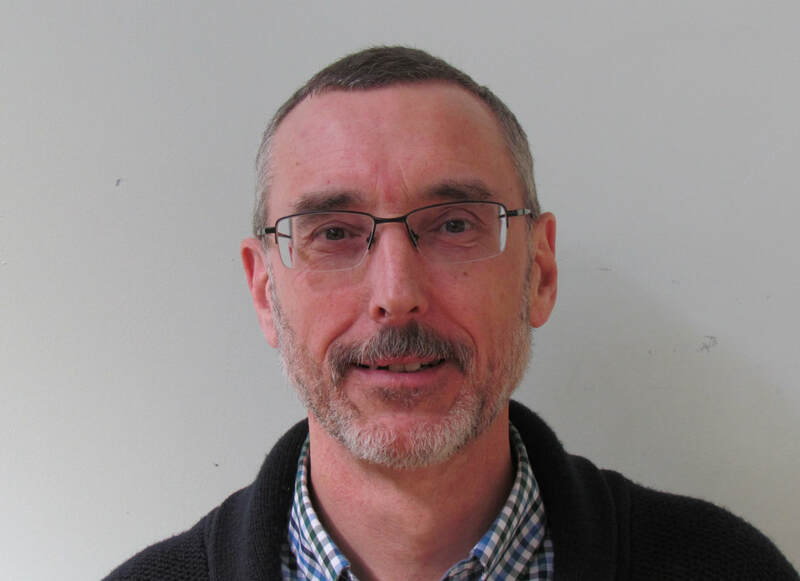 Steve is part of the Eldership team, and Chair of the Trustees. 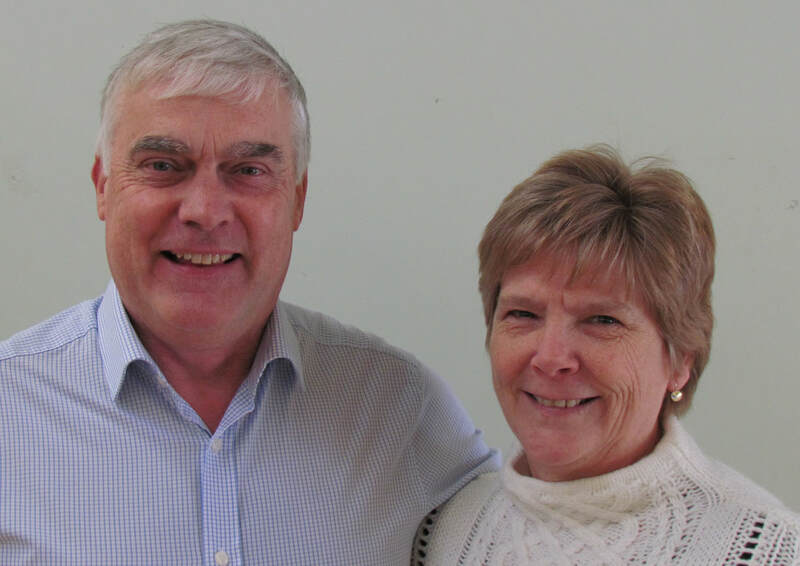 With a background in Finance, and having taken early retirement from his work as a Finance Director with Rolls-Royce, Steve preaches regularly and also serves as Treasurer for Keswick Ministries. In his spare time Steve enjoys reading and spending time with his ever- increasing brood of grandchildren. He also lectures on a part-time basis at Warwick University on Finance. Norman McCrone was our founding Elder, and passed away in the early hours of Sunday November 4th, following a massive heart attack. The Lord Jesus, whom he loved, has now said ‘Welcome Home my good and faithful servant’ and in that we rejoice! David is married to Colette and has two primary school aged daughters. He currently works as an accountant for a company that manages Public Private Infrastructure assets such as hospitals. David has responsibility for our Home Groups and is Chair of the Finance Team. He has lived in Derby for over 15 years, but is originally from Northern Ireland and still likes to support the Ireland rugby team. In church he is involved in leading a house group, teaching in Sunday school, leading services as well as being an Elder. Outside of church he enjoys pub quizzes, golf and walking in the countryside. Matt has been a member of Springwood Church since 2011. He is married to Alex and they have a young family. He works as a design engineer and tries to spend a lot of time outside of work with the family. He enjoys listening to a wide variety of music and is learning the drums. His hobbies include photography, sports, cooking, camping and movies. Steve is married to Carol and they have two married daughters and two Grandchildren. He is a Chartered Architectural Technologist by profession, having started work at seventeen as an apprentice, and has spent his career in Derby. Serving on the Wider Leadership Team in the capacity of Prayer Coordinator he also has a passion for Men’s Ministry. Having been brought up in Christian family, Steve made his commitment in his teens, attending two churches before joining Springwood in 2013. Steve watches Derby County, Burton Albion and Derby Rugby Club and enjoys cricket, motorbikes, classic cars, railways, real ale and walking. Ben is a lecturer in Entertainment Engineering at the University of Derby. He is married to Hannah and they have two young children. Ben loves music and often plays piano and drums during our church services. Ben is also involved with the children's ministry, leading services and is one of our Home Group leaders along with Hannah. Ben's a friendly guy who would be more than happy to chat to you about anything from Star Trek to football, and anything in between! Hannah has been part of the church since 2008. She runs the Children's Ministry for Springwood Church, including family events and the annual church summer club. She works as a Teaching Assistant in a primary school and enjoys visiting new places for days out with her family, particularly those with coffee and cake! Gareth is married to Sarah and they have four small children, which seemed like a good idea at the time. At work he runs a small group of companies in the construction industry. At church he is on the Finance Team and takes part in the Wider Leadership Team which supports the Elders. Like most parents his home life can revolve around the children but he also enjoys rugby and all kinds of food. Prior to becoming a full time mother and homemaker, Sarah worked as a General Manager of a business centre. Her responsibilities included sales, facilities management and accounts. Sarah is the Church Treasurer and a member of the Finance Team. In any spare time Sarah enjoys reading, visiting coffee shops and eating out. Here at Springwood we are affiliated to the "FIEC: the Fellowship of Independent Evangelical Churches." We exist to glorify God, grow disciples and go to all peoples with the Good News of Jesus Christ, in the power of the Holy Spirit. To see people from the community of Oakwood and the surrounding area reached with the Good News of Jesus Christ. Colossians 1:18 He is the head of the body, the church; He is the beginning and the firstborn from among the dead, so that in everything He might have the supremacy. Christ is the eternal Son of God and is our only hope for salvation through His death and resurrection. We want our hearts and minds to delight in Him, and for the Holy Spirit to make us more like Him. The Bible is God’s transforming Word. In it, the Lord Jesus is revealed. We expect to hear God speaking to us and we want to understand it, obey it and apply its teaching to our daily lives. The Bible alone speaks with final authority and is sufficient for all matters of belief and practice. Matthew 28:19-20 Go and make disciples of all nations, baptising them in the name of the Father and of the Son and of the Holy Spirit, and teaching them to obey everything I have commanded you. The mission of the church is to fulfil the Great Commission by making disciples. This is central to the life of our church. We want every member to be an ambassador for Christ wherever they are, and to mobilise people for missions in the UK and overseas. Colossians 4:2-3 Devote yourselves to prayer, being watchful and thankful. And pray for us, too, that God may open a door for our message, so that we may proclaim the mystery of Christ. We are dependant on God for everything so we must be devoted to prayer, individually and corporately. Prayer transforms us and draws us closer to Christ. When we pray, we will be confident that God will work by His Spirit to bring glory to Himself. Our church family is a place where we all demonstrate love and care to one another. We want to share in all aspects of our lives in authentic, growing relationships. People from all backgrounds, ages and nationalities are valued. Our love for the Lord Jesus will overflow to acts of mercy to the wider community to build bridges for the gospel and to show God’s compassion for those in need. 2 Corinthians 9:7 Each of you should give what he has decided in his heart to give, not reluctantly or under compulsion, for God loves a cheerful giver. The Bible teaches us that everything we own belongs to God, so our deepest satisfaction is found in the Lord Jesus rather than in what we own. We recognise that all of our church expenses come from the regular giving of our people, so we want to be generous to the church and generous to one another in terms of time, money and service. We count it as a privilege to give to the Lord’s work as we see Him grow His Kingdom. We are committed to equipping, training and developing the whole church. We want to have a culture where everyone reaches their full potential in Christ. Ephesians 4:11-12 Christ himself gave the apostles, the prophets, the evangelists, the pastors and teachers, to equip his people for works of service, so that the body of Christ may be built up. The Lord has given all Believers gifts to strengthen the church. We want to identify these gifts and give opportunities to develop and use them to honour the Lord Jesus, to serve one another, to build the church and to bless our world. Serving is best done in teams. Springwood Church, formerly "Woodlands Church, Oakwood," started life in 2004 as a plant from Woodlands Evangelical Church, Allestree, Derby. In those days, about 15-16 people regularly travelled over to Woodlands Evangelical Church from Oakwood and Chaddesden, and they formed their own Home Group. After much prayer and planning, a new congregation on Oakwood was planted. We remain grateful for the huge amount of support and encouragement from Woodlands Evangelical Church, Allestree. Aaron Johnson came in early 2015 to be pastor. We are grateful to God for the godly leaders who have faithfully served our fellowship over the years. As a church we are called to support those working locally and further afield as they seek to share God's love and make disciples, according to His call on their lives.